I’m Jon Entine, executive director of the Genetic Literacy Project. We are a non-profit NGO. We receive no industry funding. We welcome writing contributions from anyone from any ideological perspective—supportive of or critical of human or agricultural genetics—including everyone on this panel and those testifying over these two days. I am also a Senior Fellow at the World Food Center’s Institute for Food and Agricultural Literacy at the University of California-Davis. In that context, many of those who maintain that GMOs are potentially harmful, while sincere for the most part, are engaging not in science but in politics. Let me give you an example. 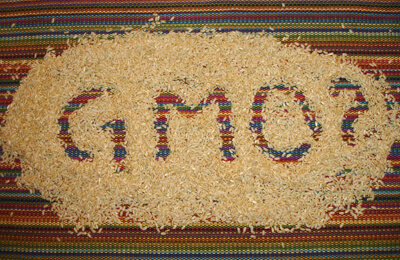 Anti-GMO NGOs often claim that the safety of genetically engineered foods cannot be assured because Big Ag funds most GMO research and there have been almost no long-term safety studies. On its website, the Union of Concerned Scientists claims: “It is … an exaggeration … to state that there are no health risks associated with GE. 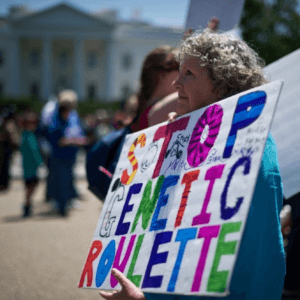 … not enough is known; research on the effects of specific genes has been limited—and tightly controlled by the industry. Just days ago came the publication of an unprecedented study that covers literally trillions of meals. 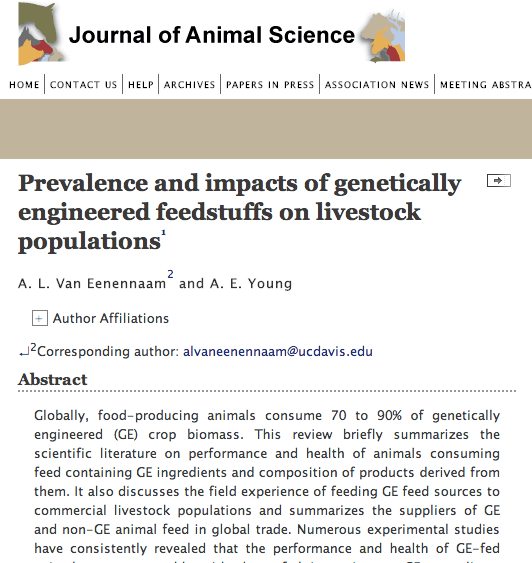 Writing in the Journal of Animal Science, University of California-Davis geneticist Alison Van Eenennaam oversaw the longest term monitoring of the health impact of GM crops in history. 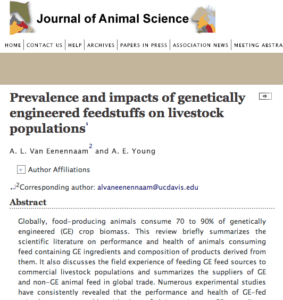 She reviewed 29 years of feeding data covering more than 100 billion animals, from before 1996 when feed was 100 percent non-GMO, until after its introduction when it soared past 90 percent. She reviewed pre and post mortem records, as ill cattle cannot be approved for meat. 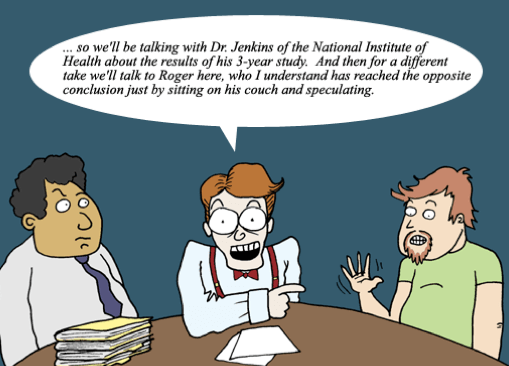 There have been a few one-off outliers, such as the Seralini study, which was retracted and republished without peer review. But think about it: If his data were credible and 80 percent of food in the United States was poison, this Nobel Prize winning paper would not have had to be published in the Environmental Sciences Europe—an obscure ‘pay for play’ journal to which the French professor purchased access to. Good journals would not accept the tortured statistics, missing controls and over-interpretation of limited data. You, this panel have an opportunity to end this charade, this faux debate over GMO safety: There are simply no credible studies in top flight journals—and none that has been repeated—that suggest serious likely safety issues that would not also apply to conventional or organic foods. 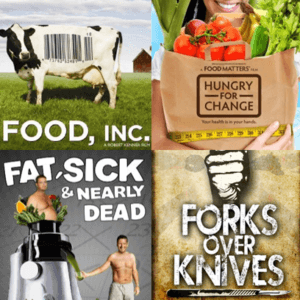 Existing GMO studies have been reviewed by nearly 100 of the world’s top independent organizations, including the NRC, and not one has concluded GMOs pose novel hazards. I’ve identified only two dissenting organizations: The American Academy of Environmental Medicine, which is not recognized by the board of Medical Specialties, is listed on the Quack Watch site, and, among other dubious beliefs, promotes the view that vaccines are dangerous. ENSSER is on record saying that many scientists at independent groups such as the World Health Organisation, European Food Safety Authority and the NRC—perhaps you—are shills—part of a global conspiracy of Monsanto, Big Ag and Big Chem; putting corporate profits ahead of consumer safety. You face pressure to demonstrate to skeptics of GE that the NRC and by proxy the American people are listening to their concerns. Perhaps it made sense to invite science’s harshest critics. But panel members, don’t assume that those who will have spoken will ultimately embrace this process. Emboldened by the implicit endorsement that an appearance at the Academy confers, they will resume their campaigns to scare the public about a safe technology. 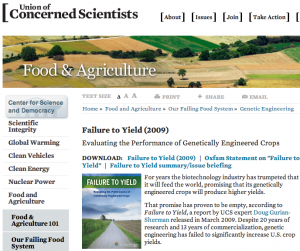 Don’t be shocked that for years to come, they will make hay that they have been “consulted” by the National Academy of Sciences about GMOs. Don’t be surprised that when you issue your report in 2016, you will be ridiculed for holding what they will then characterize as a “rigged NRC process”. Contrast that with the NGO that I founded three years ago—the Genetic Literacy Project. Its independent writers express their personal views—there is no “GLP editorial line” like you will find with the activist NGOs represented at this meetring. The GLP also daily aggregates a dozen published stories no matter what their ideological bent. Over the week before this meeting, for example, the GLP carried a report from Mother Jones criticizing biotech supporters who equate anti-GMOers with climate denialism; a defenseof Vandana Shiva’s critique of the Green Revolution; and a polemic claiming the overturning of Kauai’s anti-GMO law reflects the “corporate control” of our legal system. Note how Gillam associates activists and conscientious legislators with protecting consumer safety while she makes it seem that Big Ag is the only defender of the safety of GMOs. 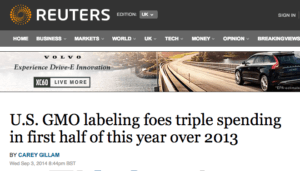 Yet as we know, it’s not industry that has concluded that GMOs pose no unusual harm but every major independent global science organization. 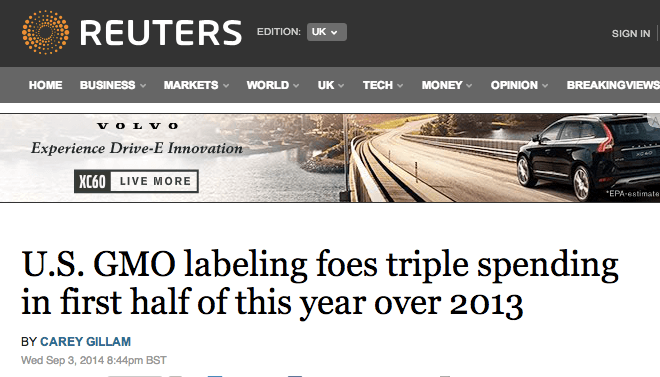 The Reuters article illustrates false balance—the lowest form of journalism. Simply said, Stone is wrong. He presented a chart of aggregate trends—not from a study mind you but from a news article—that is far too imprecise from which to draw any reasonable conclusions. 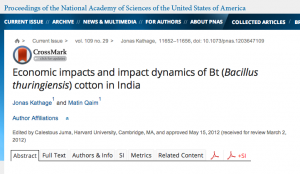 However, data from actual farmers who switched from conventional to GM seeds and tracked their yields demonstrates conclusively that Bt crops do significantly bump yields. However, data from actual farmers who switched from conventional to GM seeds and tracked their yields demonstrates conclusively that Bt crops do significantly bump yields. A gold standard journal, The Proceedings of the National Academy of Sciences, published a study in 2012, highlighted inNature, post-dating Stone’s aging critique, documenting exactly that. 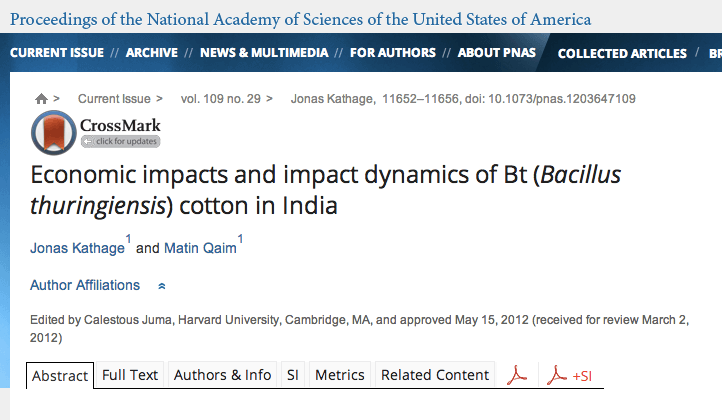 There are a half-dozen similar studies (here, here, here,here), and all show the identical thing: Bt crops increase yields substantially while the use of insecticides plunges. It’s not that a key element of Stone’s perspective is not without merit—issues are grey and simplistic narratives are almost always wrong in part—but that he was creating his own narrative by not presenting to the panel the contextualized information. The presentation on Monday was not a case of false balance; it was selective presentation of data. 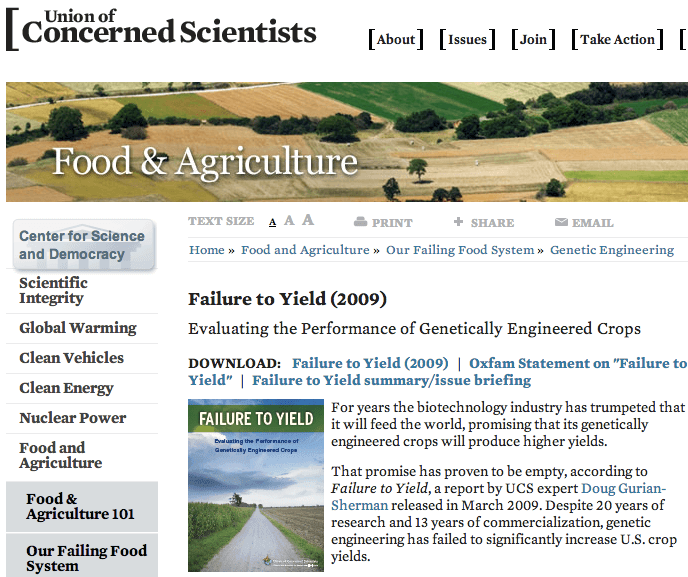 As the authors of the PNAS study note, “Civil society groups tend to emphasize potential risks of GM crops and question reports about positive agronomic and economic effects.” They specifically cite a 2009 polemic by Doug Gurian-Sherman, “Failure to Yield,” which appears on the website of the Union of Concerned Scientists, where he used to work. What you will not find at UCS, or on most advocacy NGO sites, is a summary or link to the PNAS study or dozens of others that directly contradict Gurian-Sherman’s ideological perspective. Benbrook in his published research focuses on herbicide weight, not toxicity. The use of herbicide resistant GMOs has led to the substitution of far less toxic pesticides, particularly biodegradable and non-carcinogenic glyphosate, for chemicals known to cause harm to humans and beneficial insects. and noted that Consumer Reports, on its GMO page, features a tomato being shot up by a needle. 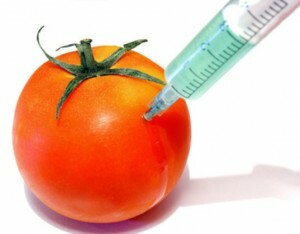 Needless to say, there are no approved GM tomatoes and DNA is not injected into fruits with medical needles. The most extreme example of this kind of demagoguery: Jeffrey Smith. He claims we are courting ecological and health catastrophe: GMOs cause autism, Alzheimer’s, Parkinson’s disease and obesity. The evidence? 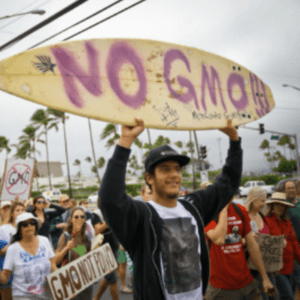 The rise in the incidences of those diseases vaguely correlates with GMO consumption—as does the increased consumption of organic foods. Does having a popular Internet following and appearances on Dr. Oz mean that this panel has to take this pseudo-science seriously? Notoriety should not be a substitute for good science. And finally: Be bold. Bring public opinion along with you. It’s easy to scare people in the name of precaution; science sets a higher standard.